A fairly common perception is that in order to own a franchise one needs hundreds of thousands of dollars in cash and a net worth north of a million dollars. While that can be true for large food franchises, this scenario is the extreme minority of what is available. Here is a basic look at three types of franchises, their total investment, and the cash required. These are broad ranges, but will give an idea of what is possible. Total investment ranges listed are for single unit franchises ("total investment" = franchise fee + start-up costs to get open on Day 1 + at least 3 months working capital once open). These typically start with a total investment of a minimum of $250K and can go up from there. Food related brick and mortar franchises are usually a minimum of $350K + and can exceed $1M. Liquidity required is usually $100K+. A normal investment range for these would be $100-300K. Close to half of the franchisors we are partnered with fall into this category. Liquidity for an office based franchise can be anywhere from $25-100K. There are not many franchisors that can be operated in a virtual environment - close to 10% of our portfolio - but the range for these is typically under $100K. Minimum cash required can be as low as $10-15K. Now that we understand the ranges and basic cash requirements, what funding options are available? Rolling over all, or part, of a qualified 401K or IRA to fund a franchise can be done without the penalty or tax that is triggered in a normal withdrawal from these accounts. Even though many of our clients are unaware this option exists, it is a very common method used to start a franchise. This option allows you to use your own money to invest in a franchise. The Express Loan is for up to $150K and can be funded in as little as 30 days. It typically requires a minimum credit score of 685 and 10-20% cash injection into the business (though this amount can be slightly less at times). 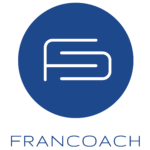 Close to half of the 500 franchisors FranCoach partners with can be funded almost exclusively with the Express Loan, making it a very popular funding option. The Small Business Administration also offers loan options up to $5 Million dollars for franchise start-ups. The timeline is longer than the Express Loan, but the loan is partially guaranteed by the federal government. Typically 20-30% cash injection into the business is required for the loan to be approved. Portfolio Loans allow you to borrow against the value of your stocks, bonds, mutual funds and other securities rather than liquidating them. Portfolio Loans offer a low interest rate and can be finalized in two weeks. Unsecured loans are a fast way to secure amounts typically up to $150K and they can close in up to three weeks. There is no collateral required for an unsecured loan and interest rates can be as low as 0% for an initial time period, though they may be higher after that. Personal wealth built in home ownership or other real estate holdings can be used to help fund a franchise. When a franchise requires equipment, there can be additional funding options through the franchise, the equipment provider, and our funding partners to help pay for the needed items. Let us help you through the first step in discovering your potential to become a franchise owner.